A causa della morte della madre, una transgender, che lavora in un nightclub a Chengdu, è costretta a ritornare nel paese in cui é nata. In quanto “figlio” unico è costretta a nascondere la sua verà identità a tutti coloro che aveva conosciuto nella sua vita passata. Xiaoxi Xu (Chengdu, Ciba, 1981) si è laurato in Arte (Pittura e videoarte) alla Nelson Mandela Metropolitan University (Port Elizabeth, South Africa, 2007). Nel 2009 ha fatto un Master in Fine Arts, alla New York Film Academy, Universal Studios, Hollywood. Ha diretto vari corti: “Ni Jing: Thou shalt not steal” (2013), “Mei Me”i (2009) e il film sperimentale “The Fluxus of ID” (2006). Collabora regolarmente con Roberto F. Canuto per progetti di regia, fotografia e scrittura, come ad esempio “Toto Forever” (2010). 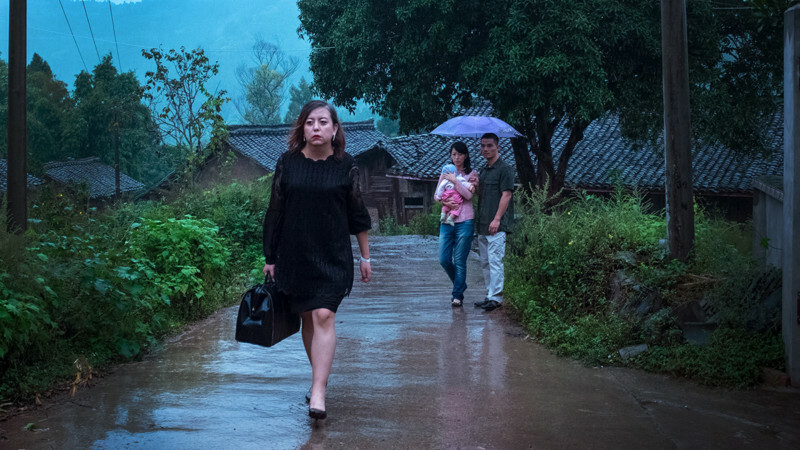 Il suo film “Floating Melon” (2015) è stato girato in Chengdu (China). 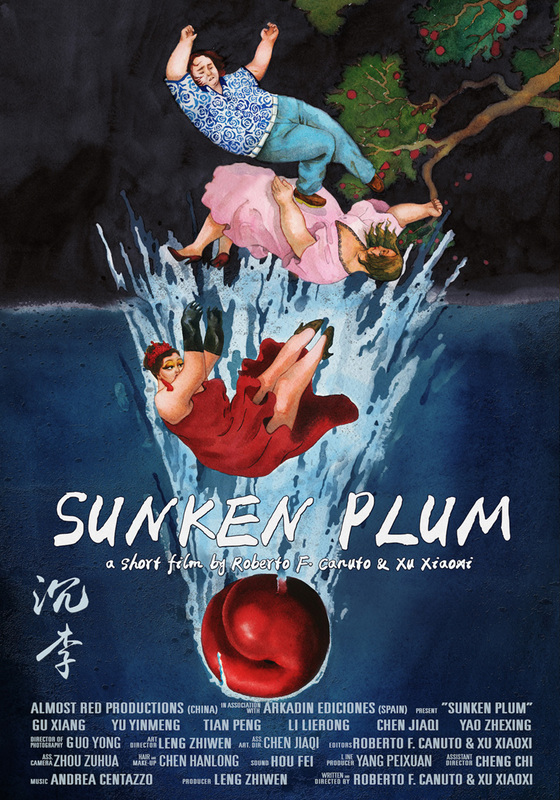 “Advent” (2016), premiato in numerosi festival segna il suo debutto in Spagna e il suo ultimo corto “Sunken Plum”, è il capitolo finale della trilogia “Invisible Chengdu”. Roberto F. Canuto (Gijon, Spagna, 1973) si è laureato in Comunicazione Audiovisuale alla Complutense University di Madrid) ed in Studi Musicali al Royal Conservatory of Music di Oviedo. Nel 2009 ha concluso un Master in Film Direction alla New York Film Academy of Universal Studios a Los Angeles. Ha diretto vari corti tra i quali il pluripremiato “Toto Forever.” Il suo film di laurea “Desire Street”, co-diretto con Xu Xiaoxi è stato presentato in Messico e in altri festival. Nel 2011 si è trasferito in Cina dove ha fondato con Xu Xiaoxi “Almost Red Productions” che si occupa di produzione per il cinema e la pubblicità e con il quale ha realizzato i corti “ Ni Jing: Thou shalt not steal” (2013) e “Floating Melon” (2015), premiati a vari festival. Il suo ultimo corto “Sunken Plum” completa la trilogia cinese “Invisible Chengdu”. 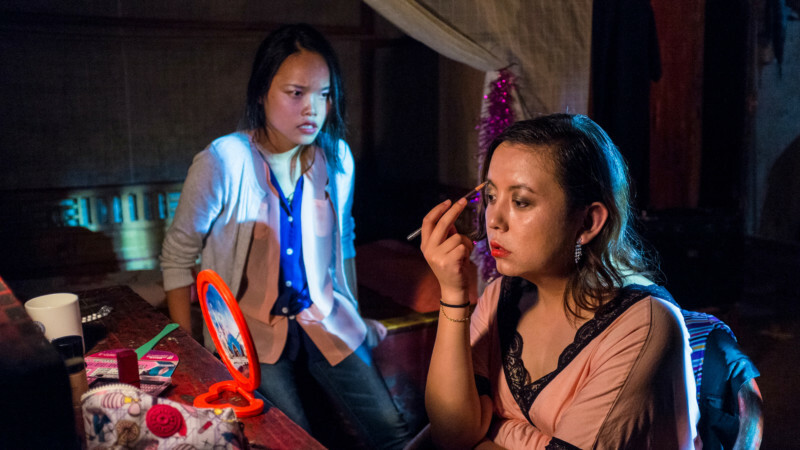 Working at a nightclub in Chengdu, a transgender Chinese woman receives an unexpected visit from her cousin, informing her that the mother she has brushed aside, has died. As the only “son”, she feels obligated to return to her birthplace for the sake of her family, even though she’ll have to hide her true self from those that once shared her past. XU XIAOXI BIOGRAPHY (Chengdu, China, 1981) Graduated with a Fine Arts degree (Painting and Video Art) from the Nelson Mandela Metropolitan University (Port Elizabeth, South Africa, 2007). In 2009, he completed a Master in Fine Arts, at the New York Film Academy, Universal Studios, Hollywood. He has directed several short films, including Ni Jing: Thou shalt not steal (2013), Mei Mei (2009) and the experimental film The Fluxus of ID (2006). He is a regular collaborator of Roberto F. Canuto, with whom he completed his master-graduating feature project, Desire Street in late 2011. Together they have collaborated on other projects, in addition to directing work, in photography and writing, for example in Toto Forever (2010). His film Floating Melon (2015) was shot in Chengdu (China). 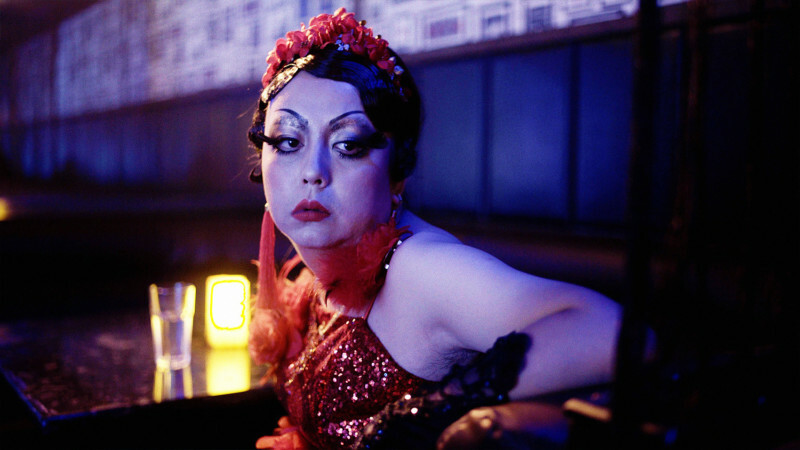 Advent (2016), awarded in various festivals, represents his debut in Spain, and his latest work, Sunken Plum, is the final part of the trilogy “Invisible Chengdu”. ROBERTO F. CANUTO BIOGRAPHY (Gijon, Spain, 1973) Graduated in Audiovisual Communications from Complutense University (Madrid, Spain). Bachelor of Music studies at the Royal Conservatory of Music in Oviedo (Spain). In 2009, he completed a Master in Film Direction at the New York Film Academy of Universal Studios in Los Angeles. He has directed various shorts, among them the warded Toto Forever. His graduation feature film, Desire Street, co-directed with Xu Xiaoxi, is praised in Mexico and other film festivals. In 2011 he moved to China, where he founded, along with Xu Xiaoxi, the company Almost Red Productions, which alternates advertising with fiction works, like the awarded short films Ni Jing: Thou shalt not steal (2013) and Floating Melon (2015), the last one a Chinese-Spanish coproduction. Advent is his debut in Spain, and has received various awards in a variety of festivals. 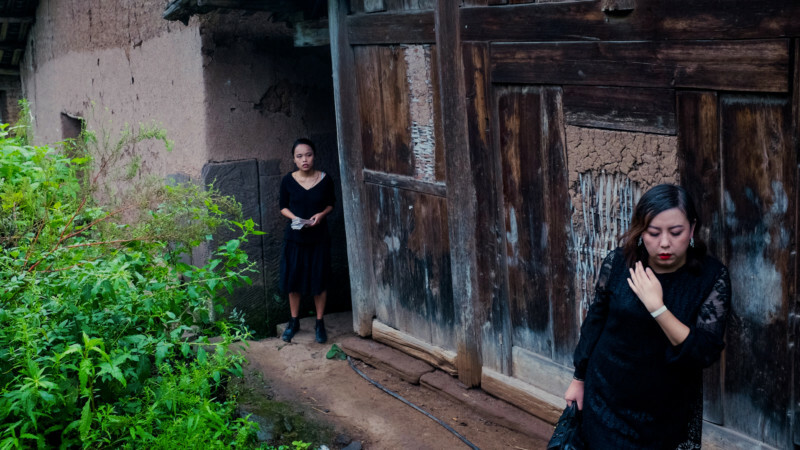 His latest short, Sunken Plum, completes the Chinese trilogy “Invisible Chengdu”. KILLER PLASTIC-o. Tu ti faresti entrare?